1oz round mini jar supplied with 43mm lid. Alternative lid colours available. Also available in bulk - please phone for prices! 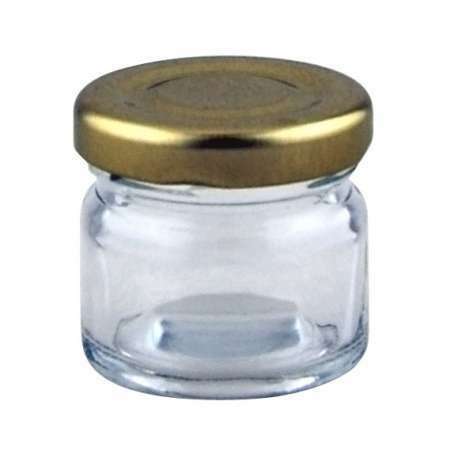 1oz round mini jar supplied with 43mm gold lid. 126 jars with lids per pack. 43mm lids to fit this jar are available in gold, silver, white, black and gold button.